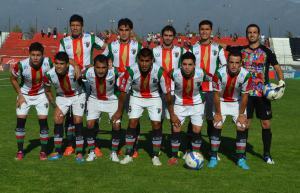 In 1920, Palestinian immigrants to Chile founded the Club Deportivo Palestino soccer team in the capital, Santiago. Today, among Chile’s 300,000 Palestinians – one of the largest Palestinian communities outside the Middle East – the team is simply known as Palestino. 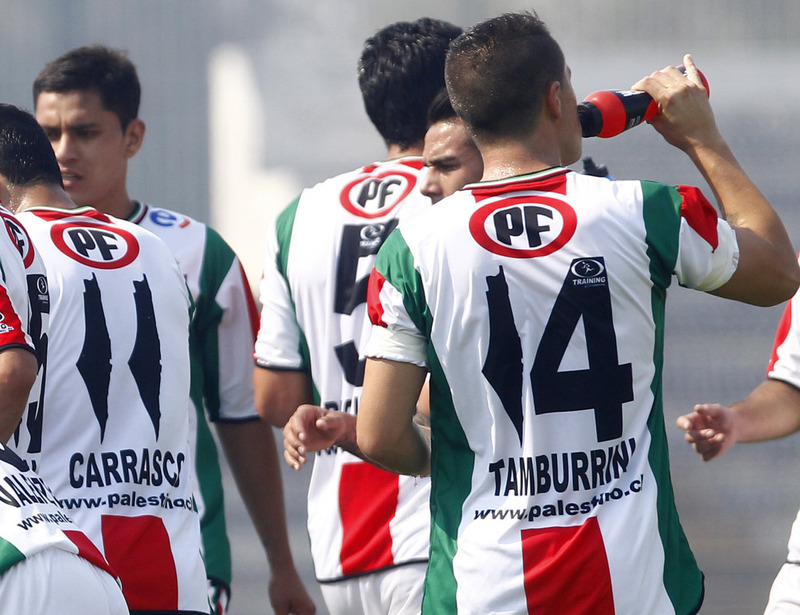 In December 2013, Palestino introduced new uniforms, which maintained their red-green-white-black color scheme and replaced the numeral one with a map outline of historic Palestine. Following complaints from Chilean Jewish organizations, the National Association of Professional Football of Chile fined Palestino $1,300 and directed the club to change their uniforms. The club acquiesced, but responded on their Facebook page, saying, “For us, free Palestine will always be historical Palestine, nothing less.” In keeping with that sentiment, the club’s redesigned uniforms featured the map outline of historic Palestine once again, but this time, the map was placed in the center of the chest and colored in gold. This conflict between Chile’s Palestinian and Jewish communities drew extensive, international media attention, leading to an outpouring of expressions of solidarity with Palestino. The redesigned uniform became a hotly coveted item, and at peak demand the club sold over 7,000 jerseys to customers all over the world.